Have you been looking for a quiet park like setting? 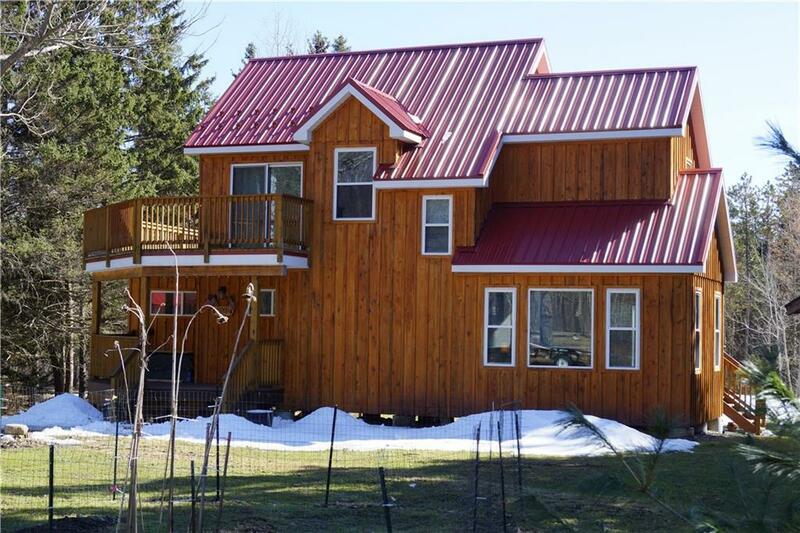 Built in 2016 this secluded 2 bedroom 2 full bath custom Character Cottage is the place. Craftmanship is shown thoughout this home from the knotty pine tongue and groove vaulted ceilings in the living and dining rooms to the custom made oak counter top. Step out onto your second level wrap around deck from the master bedroom to look over the quarter acre pond in the back yard and enjoy nature. There are 2 storage sheds on the property to store your outdoor toys in. Cockagine Resort is a short 8 minute drive away and within walking distance to Harris Hill State Park. The snowmobile trail goes right though the back of the property for easy access. This is a one of a kind home to see. Call today for your private showing.